When it comes to construction documentation, language and formatting are critical. As is the case for Part 1, this second article in a series on architects, specifiers, and construction documentation does not seek to offer an all-encompassing view of spec writing. (Readers should check out the resources offered by Construction Specifications Canada [CSC] for a more in-depth look.) This piece focuses on language and specification format. A basic tenet of a good set of construction documents is “Mention it once and in the right place.” The contract is between the owner and the contractor, and the specifications communicate to the latter what is required (without telling the contractor how to construct). The specifications define the administrative, qualitative, and workmanship considerations for the products in short and simple sentences. This means using the imperative mood whenever possible. In other words, one should write: “Provide low-VOC sealants,” instead of writing “The Contractor shall provide low-VOC sealants.” Specifications should not be addressed to the trades, as means and methods are the contractor’s responsibility. Abbreviations, symbols, and long, complicated sentences should be avoided. The Five Cs rule should be followed by being clear, concise, correct, complete, and co-ordinated. Specifiers in this country should add a sixth ‘C’ for Canadian spelling. Depending on the size of the project, some project manuals can be made up of multiple volumes of booklets. To ensure consistent and efficient organization, CSC and its U.S. counterpart, the Construction Specifications Institute (CSI), have jointly developed standards like UniFormat, MasterFormat, and SectionFormat/PageFormat. The organization standards used in the early stages of a project, UniFormat describes a project by its basic assemblies and systems. 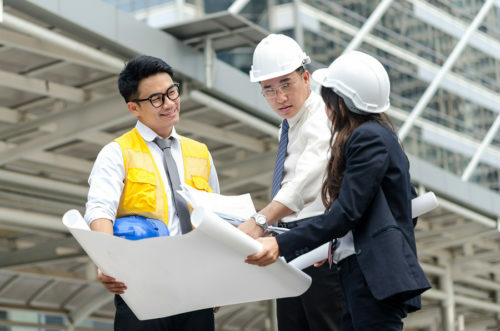 It is usually employed for describing project requirements for RFPs of a design-build delivery system and Preliminary Project Description (PPD) and Outline Specifications. Element Z−General (includes sustainability and administrative requirements). Different offices use different systems for their Outline Specifications, including how they approach UniFormat. This author’s preference is to use the same divisions of MasterFormat. The system used for organizing a project manual, MasterFormat has been divided into 50 divisions and six numbers for each individual section. Prior to 2004, there were 16 divisions and five-digit numbers for each individual section. While this should have been phased out, this author has seen some architectural firms and government organizations still using the old format. MasterFormat is further divided into two groups—the Procurement and Contracting Requirements Group has only one division (Division 00−Procurement and Contracting Requirements), while the Specifications Group includes Division 01–General Requirements and the technical specifications of Divisions 02 through 49. Contrary to the belief of some, MasterFormat is not designed to correspond with the work assigned to different trades, suppliers, or subcontractors, but to the contractor. Part 3–Execution includes articles such as examination and verification, site preparation, erection requirements, protection, maintenance, cleaning, schedules, and other installation requirements. The PageFormat aspect is used to organize an acceptable standard within SectionFormat. It is one place where CSI differs from CSC. In Canada, the style in numeral forms (e.g. 1.1, 1.1.1) is preferred, while alpha-numeric forms (e.g. 1.01, 1.01.a) are used south of the border. This article series concludes with Part 3, which examines specification divisions and sections in greater detail. 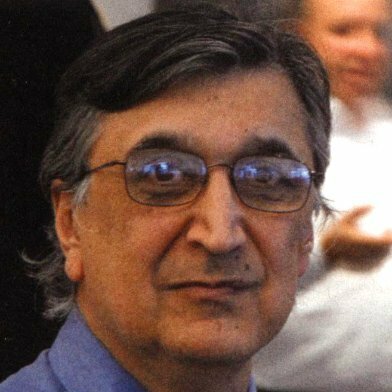 Cyrus Kabeer, CSP, NCARB, AIA, LEED AP, is an independent specification writer with an undergraduate degree in architecture and a master’s in urban planning, with over 35 years of experience. Now based in Vancouver, he has worked as an architect in the United States, Canada, the Middle East, and India, providing design, working drawings, specifications, and contract administration for institutional, transportation, industrial, military installations, commercial, and residential projects. Kabeer has been doing specifications since 2006, finding his passion for spec writing. He can be reached at cyrus.specifications@yahoo.com.